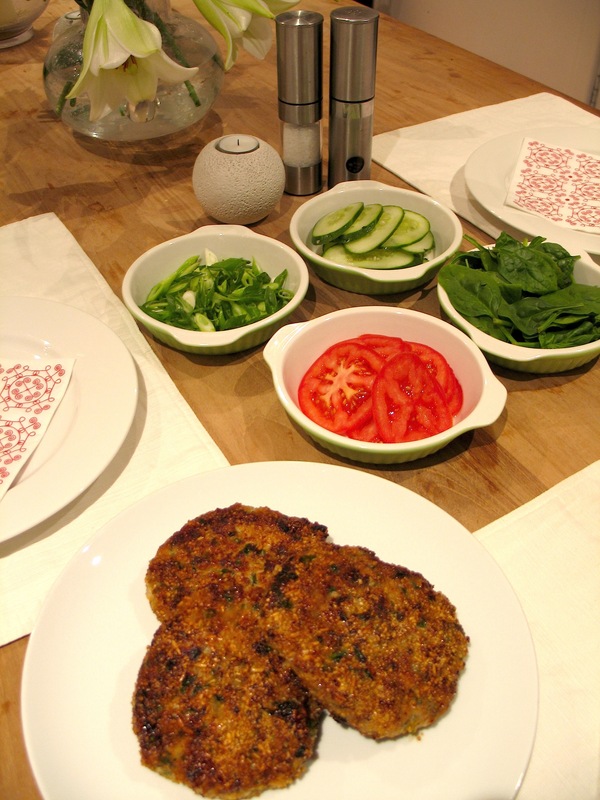 Thai chicken burgers – mealtime inspiration | Hey Bernice! Mix all the ingredients together in a bowl . Form into patties (or balls if you want to cook and serve as finger food). TIP: to keep your patties/balls the same size use a 1/4, 1/3, 1/2 cup measure or tablespoon (depending on the size you are after). Once they are moulded into your preferred shape, place them in the fridge to set a little. This is a great meal for kids, and even for a casual lunch of dinner – place everything on the table and let people make their own – it’s a winner. WARNING: I have been encouraged by my husband to tell you all that Bernice’s recipes are not an exact science. I make everything up, and never measure my quantities. So, when it comes to sharing my recipes I have to guess how much of everything I put in. So feel free to do the same, experimenting in the kitchen is great fun! Yes Eloise was victim to this creation last weekend! And she survived….